Danny Borg was paralyzed from the waist down but during those times of hardship, he’s promised himself he would walk again. And indeed just four short months later he walked down the aisle to marry his wife Roz. This is a miracle he credits to Brazilian Jiu-Jitsu. “It started about seven years ago when I was an unlucky victim of a spinal cord infarction, which is basically a blood clot or stroke in my spinal cord,” – he continued. “Doctors told me that I would recover to some extent. The best most people get is walking with assistance from a walking frame,” but still he had plenty of hope and he promptly made a promise to himself – “I made a promise to myself that would not be my fate”. After four months of intense physio therapy he was able to walk down the aisle to marry his wife. However, his legs were still feeling weak, there was pain and numbness that made the weight pile on along with an increasing depression. 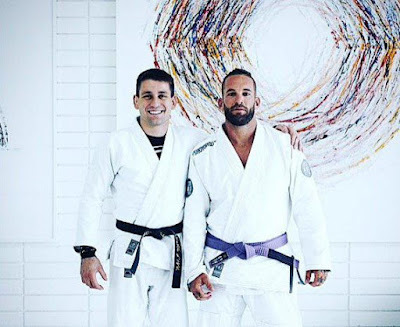 Mr. Borg was then convinced to try BJJ, finding Fight Club Jiu-Jitsu Mackay. “I became instantly hooked, I weighed 105kg and my journey began. After four months my weight was down to 85kg. My legs were getting stronger and stronger and doctors said it was amazing, a miracle. I could not have done this without the support of my wife. Every night I am at home from work she cooks dinner and deals with our children so that I can go and train”. 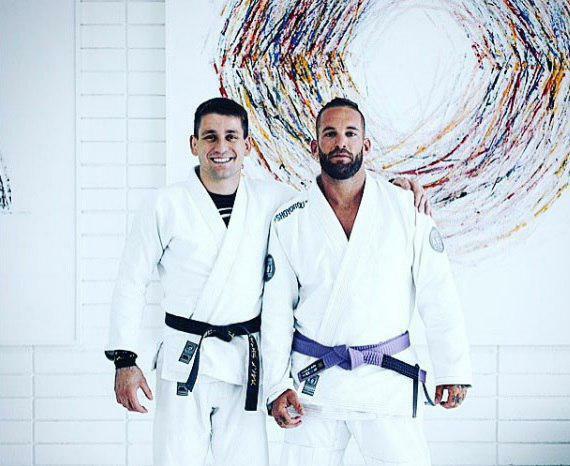 “It’s inspiring when you see your team willing to travel two-three hours just to do a grading. Moranbah being a country town they don’t have the same access to top level teachers like people do in cities. Being on the mats with them hopefully gives them motivation to keep going”.